Xiaomi has many industries under its belt. Take a look under that belt and you’ll find phones, televisions, and various other electronic accessories. And it’s no secret that Xiaomi makes incredible hardware at astonishingly low prices. Though the question of how they achieve this is up for debate. Now, Xiaomi expanded its reach to gamers. The newest addition to the Xiaomi line of products is the, aptly named, Xiaomi Mi Gaming Laptop. Time and again, Xiaomi has proved their creativity in naming their products. By the way, this isn’t their initial foray into making laptops. In fact, Xiaomi also makes the Mi Notebook Pro, and the Mi Notebook Air. The Mi Gaming Laptop has all the hallmarks of a great gaming laptop. This includes an RGB backlit keyboard, additional programmable keys, and a built-in headphone amplifier. 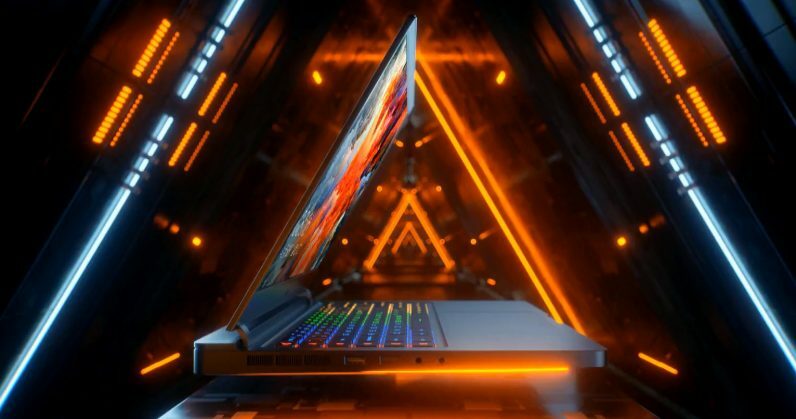 These are the extra features that gamers expect in a laptop. And all of this is packed into an unbelievable 20.9 mm thick chassis. But what about the specs though? Don’t expect the Mi Gaming Laptop to be a slouch in this area. In fact, it rivals the best of the industry, like the Alienware 13. It houses a GTX 1060, a 7th Gen i7 chip, and 256 GB of SSD paired with a 1 TB HDD. The GTX 1060 pushes all those pixels onto a full HD 15.6 inch screen. Contrary to popular belief, the fact that this laptop is a bit larger is convenient. In fact, the expanded internal space gives the Mi Gaming Laptop enough headway to pack 2 fans into the chassis. 2 fans and 4 air vents. If that isn’t enough to keep the Mi Gaming Laptop chilled through your intense gaming sessions, it also has something called the “Tornado” button. But don’t get confused, this is just a fancy dedicated button to overclock your fans. In the moments that matter, this will reportedly bring the temperature down by about 2-3 degrees Celsius (or Kelvin if you prefer). The pricing is where it all comes together though. In reality it costs just as much as you would expect a mid tier gaming laptop would cost. But this is only for the Chinese audience. And that’s what makes the difference. The fact is, China demands a premium for laptops that are shipped from anywhere else in the world. Xiaomi doesn’t have to jump that hurdle. The Mi Gaming laptop goes on sale on April 13th in China.